If you’re a biblical site junkie, you should think about a visit to Jordan. Once you’re Petra-d out, you can take in a few local biblically referenced sights compliments of Moses trek through the area with the Israelites en route to the Promised Land. 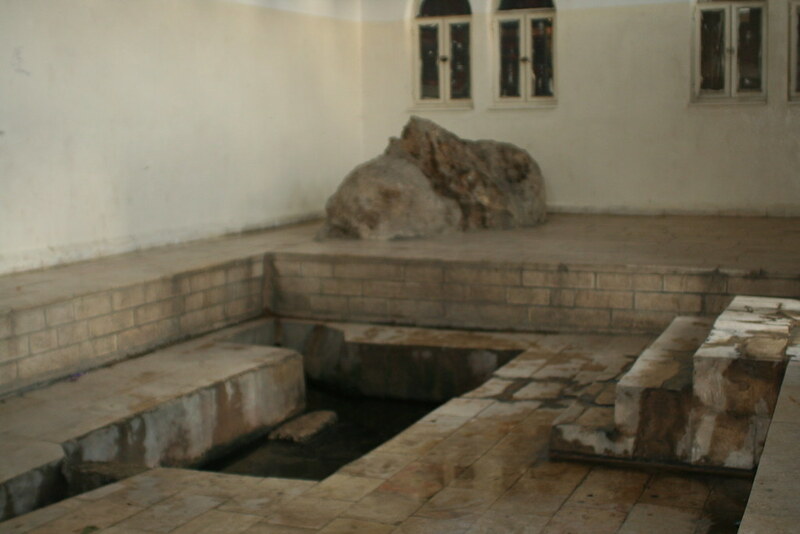 Though not universally accepted as the true site, you can see the rock that Moses struck and the accompanying spring. I bet that water was looking pretty good after 40 years in the desert! Don’t get too excited though. Today the spring appears to be a popular source of water for car washing. And from atop one of the many mountains in Petra you can see Jebel Haroun, Aaron’s mountain, where a white shrine marks the alleged location of his burial – a popular pilgrimage site for Christians, Jews and Muslims.